LLOYD'S BEWARE THE BLOG: Sergei Fedorovich Bondarchuk: Soviet "War and Peace" and "Waterloo"
Sergei Fedorovich Bondarchuk: Soviet "War and Peace" and "Waterloo"
In the late 1966's the Soviet Union made Tolstoy's "War and Peace". Later that same year while on leave in Los Angeles I saw the Two Part English dub of this motion picture. Walter Reade, Jr. had obtained the rights to the original Soviet Mini-series and he divided them into Two Parts. I would attend both parts at the Fine Arts Theater in Beverly Hills the last day for Part One and the first day for Part Two. I really enjoyed this film, but what I and other English language viewers did not know was Reade had shorten his motion picture version by an hour. In 1999 Mosfilm restored the heavily damaged Four Part Mini-series and issued a multiple DVD. I have that beautiful restoration and this is the story of two films by Sergei Bondarchuk that I believe should be seen by lovers of great motion pictures and in the case of the original source novel fine literature. Along with being able to view some of the most accurate historical reconstruction of the battles between Napoleon and the Russian Army. Below Actor/Director Bondarchuk as Pierre in "War and Peace". Before the Soviet Mini-series there was Hollywood and Italy in a co-production of the novel released in 1956.The motion picture directed by King Vidor had a running time of 208 minutes. The Soviet Mini-series would have a running time of 431 minutes. The Walter Reade, Jr;s. English Language version would run approximately 371 minutes. These are actual film times and do not include the intermission periods in Reade's re-edit. 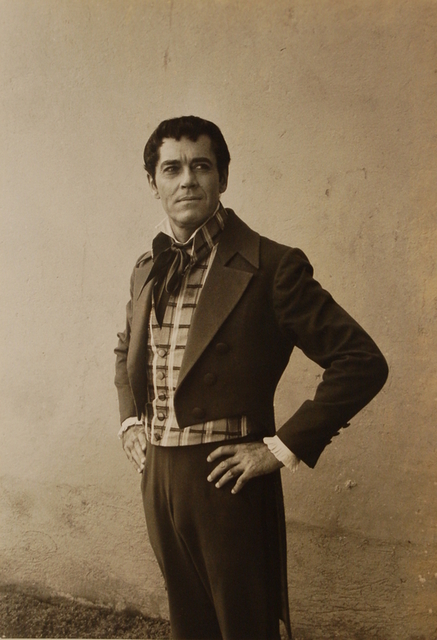 The Paramount film had a typical "All Star" Hollywood Cast starting with a miscast Henry Fonda as Count Pierre Bezukhov. Playing Natasha Rostova was Audrey Hepburn. Until the Soviet release King Vidor's film was the preeminent motion picture version of Leo Tolstoy's novel. I remember seeing it with my parents when it first came out at the Sepulveda Drive-In Theater in Van Nuys, California. By looking at the following Foreign Poster and English Lobby Card it is obvious that the man publicity for the 1956 Motion Picture centered upon Audrey Hepburn. Look at other examples on your own and my statement is supported. A film as vast as this was and it was Audrey Hepburn's popularity at the time that was the main sales pitch. Now I will turn to the Soviet Production in more detail. 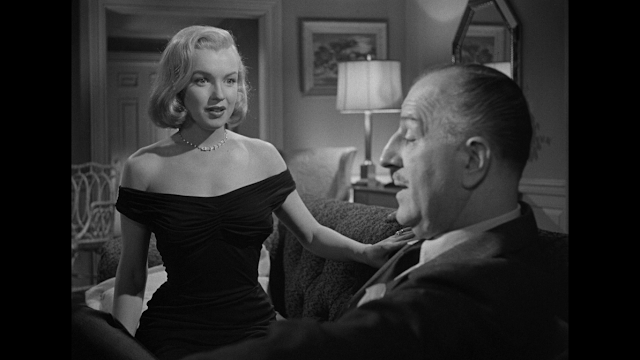 In 1956 when the American/Italian co-production was made the budget was $6 million dollars. Five years later in 1961 the Soviet film started production and this continued into 1967 at a total cost of a little over $9 million dollars, but there was a difference here that King Vidor never had. Sergei Bondarchuk was given the complete support of the Soviet Government and was able to use the entire Soviet Military as extras in the battle sequences among other things. However, it wasn't as easy sounding as that would seem. The Soviet Union under Khrushchev was an interesting unbalance of new guard and old guard in everything and that included its film industry. Times were changing even in Soviet Russia. Although at a slower pace. King Vidor's "War and Peace" was released within the Soviet Union in 1959 three years after it had been filmed. The motion picture created an attendance record of over 31.4 million viewers. It was that reception which caused Soviet Minister of Culture Yekaterina Furseva to decide it was way overdue for a Soviet version of this great Russian treasure. Prior to the release of King Vidor's motion picture. The only Soviet version of "War and Peace" of that stature was actually an opera created at the start of World War 2 in 1942 after Hitler invaded the country. The idea of converting Napoleon's invasion into a patriotic opera came from Sergei Prokofiev and Mira Mendelson. Plans were to perform the opera at the Bolshoi Theater in Moscow directed by internationally acclaimed Russian motion picture director Sergei Eisenstein, but the project was dropped. Now the wheels began to turn once more, but then the old guard of the Soviet film industry met the new. Different names were proposed to direct the motion picture and cast aside. The final name was Ivan Aleksandrovich Pyryev. He had been directing films since 1929 and with his reputation seemed the perfect choice, but then this was Russia and Pyryev had enemies and also realistic thinkers within Soviet Cinema. Ivan Pyryev was known as "The High Priest of Stalinist Cinema" having won six Stalin Prizes for his work in 1941. 1942, 1946, 1948 and 1951 awarded by Joseph Stalin personally. A motion picture of this scale and planned for International release would not go over, if a director so associated with Stalin headed it. After much debate, if that is the correct word, and pressure Pyryev was replaced by actor turned director Sergei Bondarchuk and the production got under way. Bondarchuk's career had begun under what was referred too as either "The Thaw", or the "Khruschev Thaw". This was the period between the early 1950's and 1960's when Nikita Khruschev reversed most of the policies of Joseph Stalin of Repression and Censorship. He also gave orders that Soviet Political Prisoners in the Gulags were to be released as part of these reforms. Khruschev attempted to establish peaceful relations with other countries which included his famous attempt on September 19, 1959 to see Disneyland which he was barred from for "security" reasons". It was this changing atmosphere, Disneyland aside, that prevented Pyryev from getting the motion picture version of "War and Peace" over the younger director. Although Pyryev publicly fought the decision and would be given a consolation prize of another major film not considered for world wide distribution though. On April 1, 1961 Vladimir Surin the Director General of Mosfilm studios sent Soviet Minister of Culture Yekaterina Furseva a request for 150,000 Soviet Rubles (Approximately $5,575,000 dollars at the time) to fund a three part version of Tolstoy's novel. On May 5, 1961 the Minister granted 30,000 Rubles and script writing began. To co-write the script Bondarchuk hired Vasily Solovyov a play write and the two men soon realized that the three part film would have to be four. Even at that length the two had to cut many of Tolstoy's plot lines and themes, curtail the story of Nikolai Rostov and Maria Bolkonskaya and almost eliminated Anatol Kuragin from the script. Even with these seemingly, to those who loved the novel, major cuts the final script was far superior to the one used in 1956 and would receive world wide acclaim. The above is a photo of Sergei Bondarchuk's personal script. Note the thickness of it as compared to the scripts for a typical motion picture of the time. Unlike the American system the Soviet one now required major approval to proceed with State funding. First the Mosfilm directorate had to approve the script. Then the script was taken to a plenum (group meeting of major members) of the Ministry of Culture which additionally was attended by Valadmir Surin and the State Committee for Cinematography's deputy chairman Basakov. The film project was now considered a redemption of Russian and Soviet Pride over the 1956 American motion picture. The Italian producers Dino De Laurentis and Carlo Ponti were not considered in any mention of American Director's King Vidor's movie starring American's Henry Fonda, Audrey Hepburn and Mel Ferrer in the minds of those at this meeting. After the "Plenum'" gave its approval the final authorization to proceed was still with the Soviet Minister of Culture Yekaterina Furseva, Who had the power to stop the production in its tracks. Of course the green light was given and the next phase for Sergei Bondarchuk was casting the massive script. Major actresses were named to play Natasha Rostova which a majority of the "Peace" scenes revolve around in one way, or another as the viewer watches her grow up over the story's events. Bornadarchuk, however, choose the inexperienced 19 year old ballerina Ludmilia Savelyeva for the part as he wanted that look of innocence and wonder that Leo Tolstoy described in his novel. She was born Lyudmila Mikhailovna Savelyeva on 24 January 1942, in Leningrad (St. Petersburg), while the city suffered the heroic Siege of Leningrad during WWII. From 1950 to 1962 she studied acting and ballet at the prestigious Vaganovoy Academy of Russian Ballet, graduating in 1962 as ballerina. That same year she became member of the Kirov Ballet at Mariinsky Theatre in Leningrad (St. Petersburg). She made her film debut in Sleeping beauty (1964). Then there were other casting problems the remaining two major characters. The critical leading role of Andrei Bolkonsky was to have gone to Oleg Strizhenov and the announcements were made, but then he bowed out when he was accepted to the Moscow Art Theater. Sergei Bondarchuk complained to the Ministry of Culture and Furtesva, himself, personally attempted to have the actor remain with the film company. Next Bondarchuk asked the distinguished actor Innokently Smoktunovsky to play the part. Smokutunovsky was considered "the King of Soviet Actors". At this time he was to have starred in a production of "Hamlet", but accepted the Bolkonsky part instead. However, Grigori Kozintsev the producer/director of Hamlet went to see Furtesva and once more Russian motion picture politics became involved and Sergei Bondarchuk found himself without an Andrei Bolkonsky. As a result the part finally went to Vyacheslav Tikhonov. Initially Sergei Bondarchuk wanted Russian Olympic weightlifter Yury Vlasov to play Pierre Bezukhov as in his mind Vlasov fit Tolstoy's description of the character. They even worked together on the part, but Vlasov left the production saying he was just not an actor. At this point Sergei Bondarchuk took on the role himself. All three critical film leads were now cast and over time the other 46 major speaking roles would also be filled. To give my readers a sense of the salaries for the members of the Soviet cast on such a major production. The three highest paid actors were the leads Vyacheslav Tikhonov whose salary was 22,228 rubles for playing Bolkonsky, Sergei Bondarchuk received 21,679 Rubles for playing Pierre and the young ballerina Ludmilla Savelyeva received 10,865 rubles for her role of Natasha. On an average the rest of the cast no matter their roles received less than 3,000 rubles. Bondarchuk received an additional 20,100 rubles for directing the motion picture. This information comes from the Russian work on the making of "War and Peace" by Fedor Ibatovich Razzakov. The Four "Assigned" Producers on the production wanted to shoot the Mini-series in 70 mm which was not a normal film size for Soviet motion pictures of the period. They planned to approach either Kodak, or the East German company ORWO for film stock, because of the quality of Russian made stock. However, they were over ruled and the film makers "For Russian Pride" were forced to use stock made at the Shosika Chemical Plant and that spelled trouble for Director of Photography Anatoli Petrisky and Film Director Sergei Bondarchuk. In fact 10 percent of the entire motion picture had to be re-shot as a result of the failure of the Shosika Film Stock to hold the image and resolution. ---dictated without consulting with the crew. They were replaced by their assistant Petrisky who had only one motion picture to his credit. His fortunes would change dramatically for his excellent work. The battle sequences in the motion picture were both epic in scope and historically accurate down to the last detail. The film actually started filming on September 7, 1962 which coincided with the 150th Anniversary of the Battle of Bordino. The first scenes shot were of that battle. Here is a short video of the opening sequence to Bordino which also shows my reader the scope of the production as Sergei Bondarchuk envisioned it. It is easy to add a zero to that figure and turn 12,000 into 120,000, but even the idea that the Soviet Government and Military gave Bondarchuk the use of 12,000 Russian soldiers for this one sequence alone is an indication of what this overall production meant to the Soviet Union. However, looking at the battle sequences it seems impossible that only 12,000 troops were used and if Sergei Bondarchuk is correct about the number. Than credit must go to both the director and Anatoli Petrisky for making their audience think otherwise. A few more scenes from this great film. Once the films was released in its entirety to 117 countries the awards started to come in for Sergei Bondarchuk's work. July 1965 at the 4th Moscow International Film Festival the film won the Grand Prix. The readers of "Sovetskii Ekran", the Official publication of the State Committee on Cinematography, choose Ludmilia Savelyeva and Vyacheslav Tikhonov as Best Actress and Actor of 1966. It would seem natural for the Soviet Union to honor the film, but also in 1966 the first recognition from another country came. When the Roei Association of Film Viewers of Japan awarded War and Peace the Million Pearl Award. Here in the United States the motion picture won The Golden Globe Award for Best Foreign Language Film at the 26th Annual Awards. This was followed up by the Academy of Motion Pictures Arts and Sciences Oscar also for Best Foreign film and it had received the nomination for Best Art Direction. It went on to win the National Board of Review;s award for Best Foreign Language film and the 1968 New York Film Critics Circle award for Best Foreign Language film. In 1970 War and Peace was nominated for a BAFTA (British Academy Film Awards) for Best Production design. Sadly in my opinion even in his own country no Award recognition was ever given to the man who made this film come alive Sergei Bondarchuk. From the Website "Open Culture" now enjoy in Russian with Subtitles Sergei Bondarchuk;s "War and Peace".The film is divided into Nine Vivid Parts and for comparison is followed, should my readers care to watch, King Vidor's 1956 version of the novel. The Soviet Union-Italian co-production Ватерлоо (Waterloo) directed once more by Sergei Bondarchuk is a film rumored to have run four hours in the Soviet Union, but if this is true it was never shown that way outside of the country and like Bondarchuk's epic War and Peace may have almost turned to dust by now. Even a print still exists.There were two theatrical running times for the motion picture released outside of the Soviet Union. One was 134 minutes and the other eleven minutes shorter at 123 minutes. I have no idea which version I saw back in 1970 when it was released in this country. However, I have another cut on DVD that runs 127 minutes I got from South Korea. While the official Mosflim DVD release is 128 minutes, but could still be the same DVD I purchased. There is now a Russian language version of the film available from South Korea.but it runs 123 minutes and may be that second original theatrical release I mentioned above. All of this indicating the longer 134 minute version probably is correct and it was re-edited probably different country's, but then there is that rumor. The film stars American actor Rod Steiger as Napoleon Bonaparte. 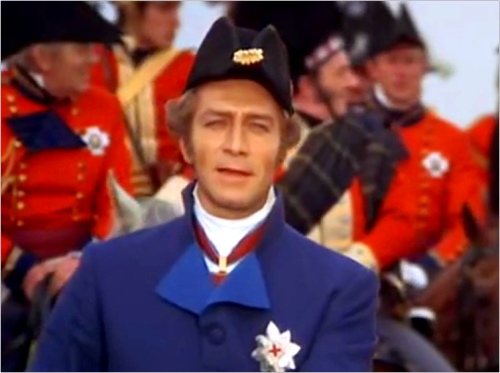 It also stars Canadian actor Christopher Plummer as Napoleon's opponent The Duke of Wellington. For a Soviet-Italian film there were a fair amount of great British actors in the cast and Orson Wells in a cameo as King Lous XVIII of France. It was sad to see how large Wells had become, but in actuality so was the King. Among the other actors in the film was Jack Hawkins as Lieutenant-General Sir Thomas Picton. Unknown to most movie viewers, but unfortunately very obvious here in "his" voice. Was the fact Hawkins had his larynx removed in 1965 as a result of Throat cancer and for his last twenty-two motion pictures with the actors approval either Charles Gray or Robert Rietti were dubbing Hawkin' lines in films. Irish actor Dan O'Herlihy played Marshal Michael Ney. Rupert Davies played Colonel Alexander Gordon, 4th Duke of Gordon. One of the few women's roles in the film was played by Virginia McKenna as Charlotte Lennox, Duchess of Richmond. Who was giving a ball for Wellington when he received the news that Bonaparte had entered the Netherlands. The film was released outside of the United States by Columbia Pictures that apparently put out a Press Book Guide of 28 pages in length. According to that Columbia Press Book producer Dino De Laurentis wanted to make this film back in 1960, but couldn't find financial backing. After the successful release of Sergei Bondarchuk's War and Peace. De Laurentis approached Mosfilm who agreed to co-finance the motion picture. The final cost in 1970's dollars was approximately $38.3 million and would never make it back. Although this was the 5th popular movie in the U.K. in 1971. As a result of Waterloo's box office Stanley Kubrick decided to drop his project on Napoleon. The story line is very simple. You have a prelude were we see Napoleon defeated and exiled to Elba Island. The credits roll and afterward we see Napoleon escape Elba and return to France, The French troops under Ney sent by King Louis XVIII to stop his return join him. The King flees France and Napoleon starts his comeback. Cut to the Ball being given by the Duchess of Richmond for the Duke of Wellington and his officers. When the news of Napoleon entering the Netherlands is received Wellington says the time is now right for his counter offensive. Cut once more to the Battle of Waterloo which takes up approximately 2/3rd's of the motion picture. As with his War and Peace. Sergei Bondarchuk recreated some epic battle sequences for Waterloo as the following scenes illustrate. Unlike the debate over how many Soviet soldiers were used in Bondarchuk's War and Peace. The figures here are agreed upon. Close to a full 16,000 Soviet Soldiers were utilized to portray both armies changing uniforms as required. For the Calvary sequences representing once again both armies a Full Brigade of Soviet Calvary was used. Months prior to the start of filming the Soviet Soldiers were required to learn 1815 drills, battle formations and troop movements used by both the French and British. There were some minor historical inaccuracies in the motion picture such as the Duchesses Ball was held in a barn and not in a lavish ballroom or it was the 4th Duke of Gordon's son who was present and not the Duke, but those battle scenes are historically as accurate as possible. 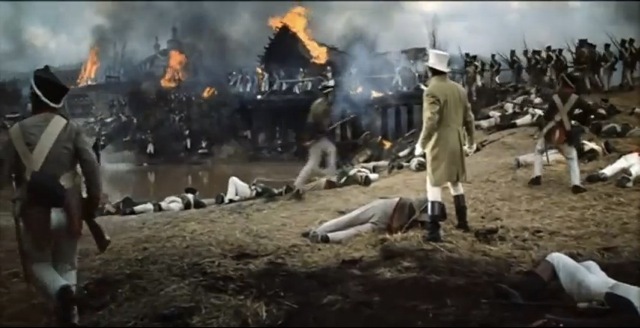 There is one sequence unrelated to the actual battle that stays in my mind and shows what a brilliant performance Rod Steiger gave as Napoleon. It is actually a long soliloquy as he dictates multiple letters to multiple scribes at the same time. A trait Napoleon had. Like the nine links to see Bondarchuk's War and Peace. This link will take you to 13 YouTube videos to see this motion picture should you want too. In conclusion these are just two great films that the average person probably doesn't know exists. It is a shame that Director Sergei Bondarchuk was not recognized world wide for them, but especially his War and Peace.